Abstract: Emerging cyber-physical systems are distributed systems in constant interaction with their physical environments through sensing and actuation at network edges. Precise knowledge of time is important for many of its operations from networking, localization to embedded control algorithms. Yet, timing uncertainty increases by orders of magnitude through the software, network stack and due to architectural and adversarial operational factors. Project ROSELINE is a collaboration among four universities with the goal to make timing information visible and controllable, reduce timing uncertainty to enable robust and secure time-centric applications. The strategies range from specialized architectural and programming assists to synchronization protocols that reduce communication burden, establish limits on the quality of time and its impact on stability of control algorithms. In this talk, I will provide an overview of the strategies and results from the ongoing collaborative project. Bio: Rajesh Gupta research interests span topics in embedded and cyber-physical systems with a focus on timing and energy from algorithms, devices to systems that scale from IC chips, and data centers to built environments such as commercial buildings. He currently leads NSF project MetroInsight with the goal to organize and use city-scale sensing data for improved services. His past contributions include SystemC modeling and SPARK parallelizing high-level synthesis, both of which have been incorporated into industrial practice. Earlier, Gupta led NSF Expeditions on Variability, and DARPA-sponsored efforts under the Data Intensive Systems (DIS) and Circuit Realization at Faster Timescales (CRAFT) programs. Gupta and his students have received a best demonstration paper award at ACM BuildSys’16 , best paper award at IEEE/ACM DCOSS’08 and a best demonstration award at IEEE/ACM IPSN/SPOTS’05. 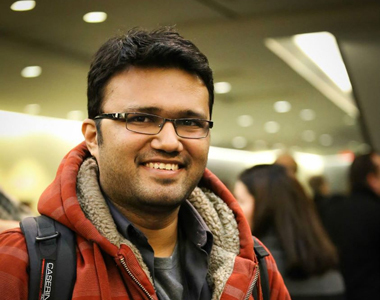 Gupta received a Bachelor of Technology in electrical engineering from IIT Kanpur, India; a Master of Science in EECS from University of California, Berkeley; and a PhD in electrical engineering from Stanford University, US. He currently holds INRIA International Chair at the French international research institute in Rennes, Bretagne Atlantique. 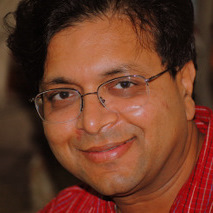 Gupta is a Fellow of the IEEE and the ACM. Abstract: The 5G networks are envisioned to offer novel services to enrich the information communication technology (ICT) industry. Moreover, the advent of internet of things (IoTs) and its potential growth in the future networks demands new solutions for service provisioning in networks. Furthermore, the 5G networks need to support heterogeneous types of devices and applications that require differentiated services based on device or application capabilities. This motivates to find novel techniques and cutting edge technologies for the 5G cellular networks to meet and enhance the diverse service requirements. Network slicing is envisioned to play a key role in order to meet the diverse service requirements and provide service provisioning for 5G networks. In network slicing, multiple logical networks can be enabled over a single physical network to offer optimal support for different types of services to heterogeneous 5G users. This also enables flexibility and cost saving for the network operators. The network slicing scheme can be easily implemented in the cellular networks due to the revolutionary advances brought by software-defined networking, network functions virtualization and orchestration tools. To unleash the true potential of network slicing in 5G networks, artificial intelligence techniques are required to seamlessly operate and fulfill the service requirements for the 5G networks. This work presents the potential benefits for network slicing and artificial intelligence for 5G networks. We also discuss the current trends for the artificial intelligence techniques and network slicing from the industrial point of view. Moreover, we also provide an architectural vision for artificial intelligence based network slicing. Specifically, we aim to highlight the opportunities and challenges brought by different artificial intelligence techniques and how they can be incorporated in the 5G networks. Finally, we present a use case scenario for content’s popularity prediction and cache decision through which we can maximize the cache hit, in order to reduce access latency for ultra-reliable low latency communication (URLLC) service. Bio: Choong Seon Hong (hereafter CS) received his B.S. and M.S. degrees in electronic engineering from Kyung Hee University, Seoul, Korea, in 1983, 1985, respectively. In 1988, he joined KT, where he worked on Broadband Networks as a member of the technical staff. From September 1993, he joined Keio University, Japan. CS received the Ph.D. degree at Keio University in March 1997. CS had worked for the Telecommunications Network Lab., Korea Telecom (KT) as a senior member of technical staff and as a director of the networking research team for research and development of the next generation operation support system until August 1999. 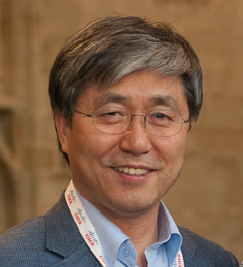 Since September 1999, CS has worked as a professor of the department of computer science and engineering, Kyung Hee University. And CS is now serving as the Dean for Office of Information Services, Kyung Hee University. CS has served as a General Chair, TPC Chair/Member, or an Organizing Committee Member for International conferences such as NOMS, IM, APNOMS, E2EMON, CCNC, ADSN, ICPP, DIM, WISA, BcN, TINA, SAINT, ICOIN, ICCE, ICUMU, ICUIMC, ICDC, ISPLC, ICC and many other international conferences. Especially, CS was the General Chairs in IEEE/IPSJ International Symposium on Applications and the Internet (SAINT) 2010 and Asia Pacific Network Operation and Management Symposium (APNOMS) 2012, and the Organizing Committee Chair of International conference on Information Networking (ICOIN) 2009. And CS was TPC Co-chairs of IEEE/IFIP International Symposium on Integrated Network Management (IM) 2013, APNOMS 2002, APNOMS 2007, APNOMS 2009 and IEEE/IFIP Broadband Convergence Networks Workshop 2009. As for Awards, CS received Best Paper Award from ICOIN 2012, APNOMS 2008, and APNOMS 2007. And CS received Gaheon Scientific Research Award (which is the most honorable academic award in Korean information and computer science society) from Korean Institute of Information Scientist and Engineers (KIISE) in 2010, and The Year 2006 Scientific Research Award from Korea Information Processing Society (KIPS). CS is also serving as an associate editor of IEEE Transactions on Network and Service Management, International Journal of Network Management, Journal of Communications and Networks, and an Associate Technical Editor of IEEE Communications Magazine. And CS is a Senior Member of IEEE, and a Member of ACM, IEICE, IPSJ, KIISE, KICS, KIPS and OSIA. CS was the president of Open Standard and Internet Association (OSIA) in 2013. And CS was President of the Korean Institute of Information Scientists and Engineers in 2016. CS’s research interests include Future Internet, Heterogeneous network, Network Management, Service Management, Network Security and Internet Services. CS published 156 international papers and 250 international conference papers. Abstract: Pattern recognition deals with the detection and identification of an object or objects in an unknown input scene which may or may not contain objects, and the determination of the spatial location of the objects when present. In this keynote, we will review the recent trends and advancements in computation-intensive distortion-invariant optical/digital pattern recognition techniques followed by the development of a data fusion technique for single/multiple object detection and tracking. Each detection/tracking algorithm utilizes various properties of objects and image frames of a given sequence. The data fusion algorithm employs complementary features of two or more of these algorithms to achieve significantly better detection/tracking accuracy. Test results using real life imagery will be presented to verify the effectiveness of the data fusion technique. This technique can be effectively used for various practical applications such as face recognition, finger print identification, character recognition, and related applications. Bio: Prof. Mohammad S. Alam received his BS and MS degrees in electrical and electronic engineering from the Bangladesh University of Engineering and Technology (BUET) in 1983 and 1985, his MS degree in computer engineering from the Wayne State University in 1989, and his Ph.D. degree in electrical engineering from the University of Dayton in 1992. Currently, he serves as a Professor of Electrical Engineering and Computer Science and as the Dean of College of Engineering at Texas A&M University – Kingsville (TAMUK). He served as the Chair of the Department of Electrical and Computer Engineering at the University of South Alabama during 2001-2015, and as the first Warren H. Nicholson Endowed Chair Professor of Electrical and Computer Engineering in 2016. He served on the faculty of BUET, Purdue University – Fort Wayne, and the University of Alabama. He also served as a Graduate Faculty member of Purdue University and Indiana University. His research interests include renewable energy, smart energy management and control, image processing, pattern recognition and ultrafast computing. He authored or co-authored over 525 publications, including 197 articles in refereed journals, 330+ conference publications, and 17 book chapters. He has edited a reference book of selected papers on JTC (SPIE Press) and numerous conference proceedings. Over 7000 citations of his work have been reported in the Google Scholar (h-index: 40, i10-index: 147). He received numerous excellence in research/teaching/service awards including the 1997 Faculty Colloquium on Excellence in Teaching Award (Statewide recognition) from the Indiana University, 2003 Scholar of the Year Award from Phi Kappa Phi Honor Society, 2005 Outstanding Scholar of the Year Award from the USA Alumni Association, 1998 Outstanding Engineer Award from Region 4 of IEEE, 2013 Outstanding Engineer Award from Region 3 of IEEE, and 2016 Joseph M. Biedenbach Outstanding Engineering Educator Award from Region 3 of IEEE. He was also recognized as one of the 50 faculty who made outstanding and lasting research and scholarship contributions in the 50-year history of USA. 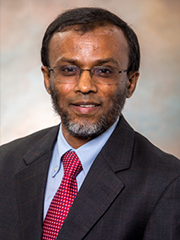 Prof. Alam served as the PI or Co-PI of many research projects totaling nearly $15M, funded by NSF, NASA, FAA, DoE, ARO, AFOSR, AFRL, SMDC, Wright-Patt AFB, Alabama Department of Commerce, British Petroleum, nfina Technologies, and ITT industry. He presented over 125 keynote addresses, invited papers, seminars and tutorials at international conferences and research institutions in the US and abroad. He has organized and chaired many international conferences and served as a Guest Editor for 4 professional journals. He supervised the research work of 55+ Masters/Ph.D. students, 15 post-doctoral students, and 7 visiting scholars. Prof. Alam serves as an ABET evaluator for domestic and international institutions. Prof. Alam is an elected Fellow of nine professional societies including the Institute of Electrical and Electronics Engineers (IEEE), Institution of Engineering and Technology (IET), Optical Society of America (OSA), SPIE – the International Society for Optical Engineering, Institute of Physics (IoP), Society for Imaging Science & Technology (IS&T), and International Association for Pattern Recognition (IAPR). He serves as an OSA Fellows Travelling Lecturer. He was the Chairman of the Fort Wayne Section of IEEE during 1995-1996 and as the President of the Mobile Section of IEEE during 2012-2016. He also served as the President of the Southeastern ECE Department Heads Association during 2005 – 2006. Abstract: Bots, automated accounts run by computer programs, are a noteworthy way of abusing social media such as Twitter. Bots are quick to construct, almost free, and increasingly common. Although they can have benign uses, bots are also used to spread false information, harass the opponents of authoritarian regimes, and recruit for terrorist organizations. This talk describes DeBot, a synchronization-based bot detection system developed at the University of New Mexico. DeBot has detected more than seven hundred thousand bots in the popular Twitter network between October 2015 to March 2017. In this talk, architecture of the DeBot system, a summary of performance since deployment, and several examples of bot behavior in Twitter will be described. At the end, the DeBot API, which is an on-demand service to detect bots involved in a given set of topics, will be demonstrated. Bio: Abdullah Mueen is an Assistant Professor in Computer Science at University of New Mexico since 2013. Earlier he was a Scientist in the Cloud and Information Science Lab at Microsoft Corporation. His major interest is in temporal data mining with a focus on two unique types of signals: social networks and electrical sensors. He has been actively publishing in the data mining conferences including KDD, ICDM and SDM and journals including DMKD and KAIS. He has received runner-up award in the Doctoral Dissertation Contest in KDD 2012. He has won the best paper award in the same conference. Earlier, he earned PhD degree at the University of California at Riverside and BSc degree at Bangladesh University of Engineering and Technology. Abstract: Network protocols are notorious for their complexity. Implementing these protocols correctly is crucial to the success of secure communication. However, time and again, a plethora of security bugs has been discovered in these implementations. At one hand, some of these bugs (e.g., OpenSSL Heartbleed) violate the well-defined programming language standards (e.g., overflowing buffer), thereby making them defensible by implementation-agnostic solutions (e.g., memory error detection/protection mechanisms). On the other hand, some bugs (e.g., Apple’s goto fail) respect the programming language standards but violate the high-level protocol specifications. In this talk, I will present two automated specification bug detection tools (CHIRON and SymCerts). CHIRON is designed for stateful network protocol implementations to detect specification bugs that violate the desired operational behavior of the protocol. SymCerts is designed for finding specification bugs in implementations of X.509 digital certificate validation logic (a crucial step in achieving communication security over the Internet) available in all major SSL/TLS libraries. Finally, I will conclude with a few directions for future research to aid the development of secure networked systems. 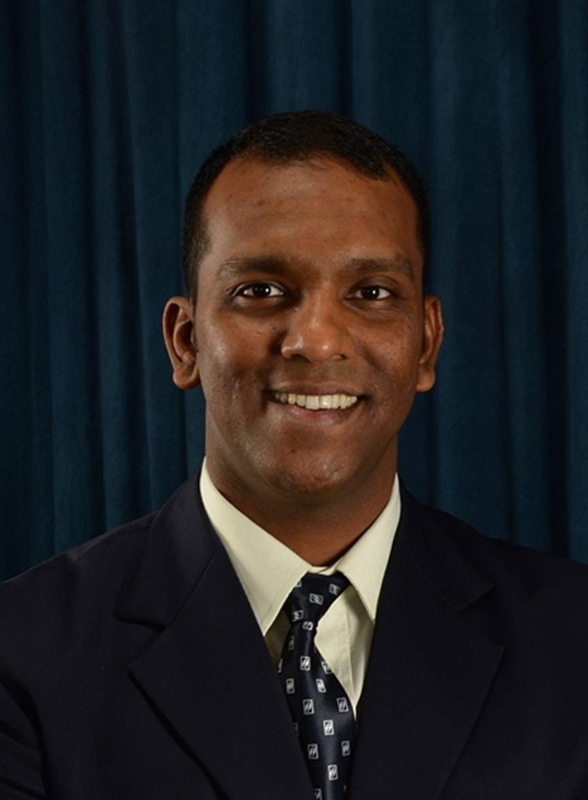 Bio: Endadul Hoque is an Assistant Professor in the School of Computing and Information Sciences at Florida International University. He received his Ph.D. in Computer Science from Purdue University and BSc in Computer Science and Engineering from Bangladesh University of Engineering and Technology. After his PhD, he was a Postdoctoral Research Associate at Northeastern University. His research revolves around practical cybersecurity problems in the networking domain, where the overarching goal is to create automated techniques to achieve higher assurance on networked systems, including real-world implementations of network protocols and IoT systems. During his PhD, he received the Graduate Teaching Fellowship award in 2014 and the Bilsland Dissertation Fellowship award in 2015. His research work has been published in several top security and networking conferences (e.g., S&P, DSN) and journals (e.g., ToN). Abstract: In this talk, I am going to present and demo our award winning research initiative on dynamic drawings – Project Draco. Project Draco was recently released as Sketchbook Motion, and was featured by Apple as “The best iPad app of the year 2016”. Most of us experience the power of animated media every day: animation makes it easy to communicate complex ideas beyond verbal language. However, only few of us have the skills to express ourselves through this medium. By making animation as easy, accessible, and fluid as sketching, I intend to make dynamic drawings a powerful medium to think, create, and communicate rapidly. Bio: Rubaiat Habib is a Sr. Research Scientist at Adobe Research. 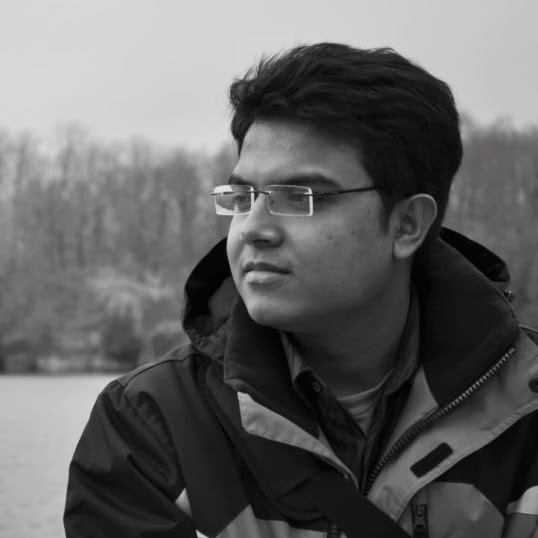 His research interest lies at the intersection of Computer Graphics and HCI for creative thinking, design, and storytelling. Rubaiat received several awards for his work including two ACM CHI Best Paper Nominations, ACM CHI and ACM UIST Peoples’ choice best talk awards, and ACM CHI Golden Mouse awards. He also Microsoft Research Asia PhD fellowship recipient. Rubaiat’s research in dynamic drawings and animation are turned into new products reaching a global audience. Prior to Adobe, he worked at Autodesk Research, Microsoft Research, and Japan Science & Technology Agency.